Everybody has heard, although not universally agreed, that “the ends justify the means”. But what about “the ends create the means”?—On one interpretation, this is the idea that the same forces, variables or influences that create a goal also create whatever is required to attain it, i.e., create the means to that goal. Rephrased, this is the co-evolution of the necessity of one thing and its possibility or of the possibility of an essential second other, i.e., “possinessity”—both controlled by the same variable[s]. Couched in business terms, this is the idea that the same framework, dynamical and other constraints that make important “skills”, “resources”, “functions” or “structures” necessary also miraculously make them possible. That principle and its manifestations are the essence of what I call “possinessity”. I believe it is an intuitive grasp of this principle of possinessity that is encapsulated in the adage “Necessity is the mother of invention”—which is a metaphorical version and application of the principles that “necessity creates possibility” and “ends create means”. However, the “mother of invention” version captures only part of the concept of possinessity, since it itself is only one-half of the possinessity principle, the second half being “possibility creates necessity”, which will be examined below. Moreover, “invention” suggests conscious effort, whereas much, if not most, possinessity—especially in nature, happens with no awareness of its processes and dynamics. Likewise, possinessity, although including the principle of logic “necessity implies possibility”, is not equivalent to it. A statement that is necessarily true, such as “A tree is a tree”, has to be possibly true in order to be necessarily true, whereas the converse is not the case, e.g., “There is life on Saturn”, which although possibly true is not necessarily true. Moreover, this logical relationship between necessity and possibility, unlike possinessity, is purely formal, not causal. More generally, possinessity is the idea that in many systems, whatever makes something necessary also causally makes it possible; likewise, in many instances, whatever makes something possible also makes it necessary—in a co-evolution of the possible and the necessary through possinessity. In developmental terms, this means “co-evolution of ends and means”, while allowing alternative forms of co-evolution as theoretical possibilities—for example, co-evolution through a set of ends control-variables utterly independent of the set of means control-variables. In the model presented here, however, the co-evolution of ends and means is controlled by a single variable or a single set of variables. Comparing a gracefully gliding and soaring eagle with a hovering and darting hummingbird triggered the concept for me: the concept of a single variable controlling the creation of both a necessary goal and the means to achieve it. That eureka moment was the personal, even if not unique, discovery of an explanation for and description of uncanny coordination and co-evolution of possible and necessary skills, resources, goals and ends—not only in nature, but also in business. To grasp the idea, consider the flight style of an eagle. Because an eagle is so large and its wide feathered wings therefore capable of gliding, it is neither necessary nor possible for it to flap its wings the 50 to 80 times per second or to quickly dart that are both necessary and possible for a hummingbird that, unlike the eagle, feeds on that which cannot flee, and whose wings apparently cannot provide sufficient lift for sustained gliding. Conversely, for gliding to be possible for an eagle, much stronger, but slower twitch muscles are necessary, just as for the hummingbird to hover, very fast, comparatively microscopic twitchy musculature is required. In more familiar human terms, this is like the difference between the famed fast-twitch Type-A hare and the slow-twitch Type-B tortoise in their race for success. Each of these two types is defined by what is both necessary and possible for it to be and do. In this case, the necessity and possibility of running its own kind of race. What this means is that in many, even if not in all systems, the same physical and other constraints that make important “skills”, “resources”, “functions” or “structures” necessary also make them possible. With possinessity so understood, the otherwise miraculous co-adaptation and co-evolution of many things, even within the workplace becomes much less mysterious—instead, almost predictable and at least much more readily understood. Before applying the possinessity principle to talent, skill and resource development, one more example from the natural world and biophysics will amply illustrate it and its implications. 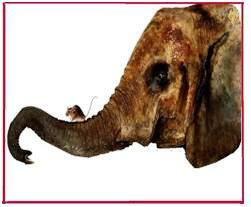 The elephant and the mouse not only display extreme disparities in size, but also in cardiophysiology: The mouse’s pulse is very rapid, the elephant’s very slow. These are not only observed differences; they are also necessary differences, given the size differences between elephant and mouse, which, while necessitating such huge differences in pulse, also makes those differences possible. Again, “That which makes something necessary, also makes it possible.” In this case, the key controlling variable turns out to be size. How does this happen? Well, a muscle’s strength is proportional to its sliced, cross-sectional area, but its weight is proportional to its volume. So, the bigger the animal, the greater the strain on its muscles—or bones. That’s why Godzilla could never really exist: The moment Godzilla might attempt to stand, his bones would splinter—a case of non-possinessity, one may think, but, on the other hand, more likely to serve as proof that no reptile “needs” to be that huge. In any case, we certainly don’t need one that big. As for the elephant and the mouse, the smaller size of its heart endows the mouse with the capacity for a much more rapid heartbeat—i.e., makes what is necessary possible. But why is the rapid heartbeat not only possible, but also necessary?—Because with a slower heart beat, the circulation of heated blood would be too slow for survival in a body whose heat-dissipating surface area is very large relative to its volume/weight. This is also why hummingbirds enter a state of suspended animation during cold nights: Their hearts could not beat fast enough to keep them warm and alive, given their tiny bodies. Conversely, the elephants much larger volume to surface area ratio means heat is dissipated very slowly—so that a rapid heartbeat would be neither necessary, desirable nor possible. Put in simplest terms, the mouse is like a small cube; the elephant like a big cube. Smaller cubes lose heat faster and therefore “tolerate” it better than bigger ones. What all of this means is that the single variable—size difference determines not only the necessity for huge differences in heart rate, but also creates the possibility. Type A and Type B job candidates: The Type A personality behaves as though time is his principle scarce resource, hence the necessity for economizing in consuming it. At the same time—or at all times—that requirement is met by the co-existence of the capacity, i.e., possibility to economize time, for example, through a talent for multi-tasking, which squeezes the most productivity possible out of every moment. This fits the possinessity model perfectly: The controlling variable is possession of a Type A personality—demanding, impatient, super goal-oriented, time-stressed, ambitious, etc. The necessity variable is maximum effort per unit time; the possibility variable is maximum multi-tasking. For the Type A personality the former is necessary and the latter possible, because his personality is Type A. As for the “laid back” Type B, the necessity is to maximize leisure while minimizing stress; the possibility of doing that inheres in the Type B’s capacity. Leaders and Followers: Within the framework of one organizational leadership model, a good leader must at some point be or have been a good follower. The case of Corporal Napoleon Bonaparte who became Emperor Napoleon Bonaparte should suffice as an illustration. Reasonably assume, as history suggests, that Napoleon was not a reluctant general or emperor, that these were leadership roles and goals he set for himself. Did a single variable or set of variables that created Napoleon’s key goal also create the possibility of achieving it? Set aside the glib citation of the “Napoleon complex”, viz., overcompensation for being short, as that crucial controlling developmental variable that made it necessary and possible for him to reach the pinnacle of earthly power. Instead, is it not reasonable to speculate that his unique innate talents, his role and experiences as a disciplined follower, viz., highly-motivated corporal, importantly contributed to, if not fully determined, both the possibility of comprehending, obeying, idealizing and mastering positions of the highest leadership, and also the psychological necessity to achieve them,? Both the possibility and the necessity of leadership may have been created through the inspiration of ambition and role-modeling from above combined with success below. If so, the possinessity of Napoleon’s success may be due to such a single set of variables. …and by a single variable [set].